Over 2 million auto accidents occur every year. Your neck and back hurt, you can't work, your life is in chaos . . . and there's an insurance adjuster on the phone badgering you! If you've been involved in an auto accident, it is important to seek care from a qualified doctor as soon as possible following the incident. Maybe you have tried to learn to live with the pain or taken medication to mask it. When the pills cover up the pain, some people think, "If I can control my condition with pills, it must not be too serious." Although pills can mask or numb the pain, they do nothing to help the underlying problem, and the damage can continue to get worse with time. But there is a simple way to get on the road to recovery! The best way to relieve your pain is to get professional care from an experienced health care provider. At Khalsa Chiropractic Pain Relief Clinic, you will receive an immediate appointment for the treatment of your back and neck injuries. After your exam and consultation, we will discuss with you the extent of your injuries. If we discover that you need specialized medical treatment or tests (i.e. MRI, CT Scan, etc. ), we will refer you for an immediate visit. 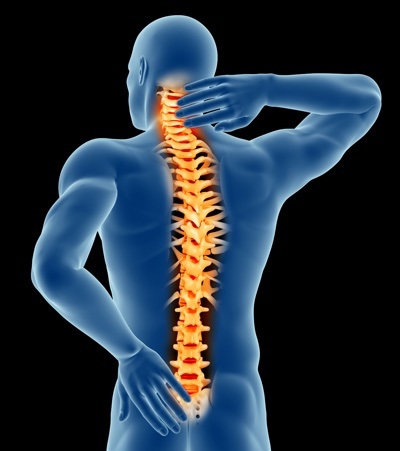 At Khalsa Chiropractic Pain Relief Clinic, we are very experienced in treating auto injuries. We will work with your lawyer to ensure that your rights are protected by keeping thorough and accurate records of your treatment and serving as expert witnesses, as necessary. Additionally, if you need to take time off from work, we can provide you with the necessary papers for your employer. Our number one priority is providing you with high quality care. To do this, we use only state-of-the-art equipment and ensure that our team members are well trained in the art of personalized service. All of our chiropractic assistants are trained by the Professional Chiropractic Association, and doctors stay up to date on the cutting edge improvements in the field of spinal care. Many people promise outstanding care, but we deliver it! Our staff will always recognize you with a warm and personal greeting when you arrive for your appointment, and we won't keep you waiting to see the doctor. These are just a few of the ways we deliver on our promise to treat you special.